CHICAGO — At least 34 people were shot across Chicago over a 24-hour period beginning at 10 a.m. Saturday, police said Sunday. Eleven of those shot in the flurry of violence were killed, and the others were hospitalized with injuries. Overall, police say at least 57 people were shot since Friday evening during one of the most violent weekends on record. In a press conference Sunday afternoon, Police Chief Fred Waller said some of the shootings were targeted attacks resulting from gang violence in the area. He said several of the incidents involved gunmen firing into crowds. 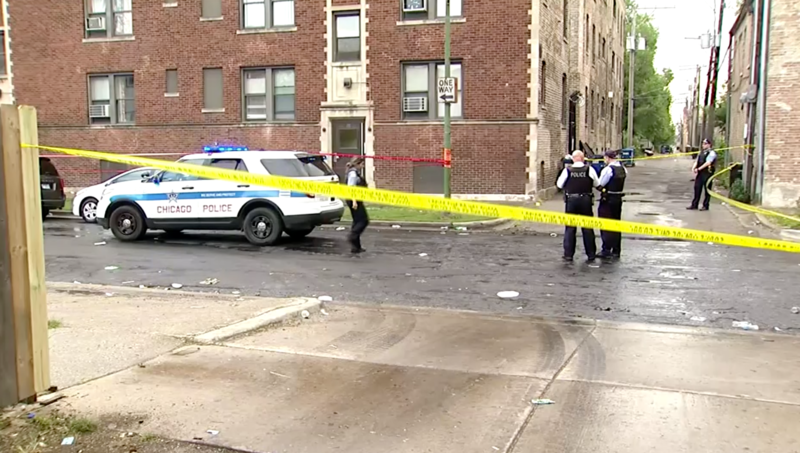 There were two separate shootings in Lawndale on Sunday, CBS Chicago reports. Two gunmen exited a vehicle and shot four people at a party then fled the scene. The victims were all hospitalized in stable condition, according to WLS-TV. In another incident, two gunmen approached a group of people and opened fire, the Chicago Tribune reports. A 17-year-old girl was shot in the face and was pronounced dead at the scene. Five other victims were rushed to the hospital. In the city's Gresham community, eight people were shot and injured when several gunmen opened fire outside a building in the 1300 block of West 76th Street, the Chicago Police Department said. The victims — five females and three males — were taken to nearby hospitals for treatment and were all listed in stable condition. They suffered gunshot wounds to the legs, buttocks, hands and a graze wound to the head, police said. No suspects were taken into custody. "This is just out of control right now," Dr. Donovan Price of Street Pastors told CBS Chicago. "It's a war zone going on right now. Chicago is just crazy."